I have now the list of main speakers for the Rockwell Religious Studies 2010 Symposium: Hidden God, Hidden Histories. There will be graduate student speakers involved in each session as well. In Western religious traditions, God is conventionally conceived to be humanlike creator, king, or ruler enthroned in heaven. But what about the God of the unconventional Western traditions, the God of the mystics, gnostics, and sages? Like almost everything else in these esoteric traditions, God is hidden, secreted away. Sometimes God shows up in another universe beyond our world. Other times God is cloaked behind veils in celestial palaces or within a body of blinding light. Often God is understood to be utterly transcendent, utterly beyond us, while also immediately immanent, immediately within us. This symposium, the inaugural event of the Department of Religious Studies’ new Program on Gnosticism, Esotericism, and Mysticism (or GEM) offers academic reflections on these secreted traditions about God, from the ancient world to the modern period. BURKITT PUBLIC LECTURE, April 15, 7:30-9 p.m.
April 16, 8:30 a.m.-5 p.m.
"God's Occulted Body: Divine Involucra in Alan of Lille and Bernard Silvestris"
"How Hidden is God? Revelation and Pedagogy in Ancient and Medieval Hermetic Writings"
"On the Mothman, UFOs, and Other Monsters: John A. Keel and the Superspectrum of the Occult"
"The Multidimensional Physics of History and the Problem of Transtheistic God-Language as Cultural Critique in the Popular and Learned Works of Joseph P. Farrell"
April 17, 8:30 a.m.-3:00 p.m.
"How (Not) to 'Immanentize the Eschaton' and Other Problems for Hans Jonas and Eric Voegelin"
"Hidden Away: Esotericism and Gnosticism in Elijah Muhammad's Nation of Islam"
Wow! What a lineup. I would love to attend that. Such a spectrum of thought. This sounds like a great conference. Do post information about registration and other details when you have them - I for one might be interested in attending! Bernard McGinn, expert par excellence on Western mysticism, brings scholarly cachet along with penetrating insight to conferences such as this. The man's scope on the subject is encyclopedic. This may sound like a stupid question but how do I find out if such an event is happening near me? Philadelphia but I could make it to New York, Baltimore or DC. I am interested with the forbidden gospels. I have written a short post about it in my blog! My concern is that the entire Hidden God, Hidden Histories Symposium seems to make no reference to the God of Jesus. It simply lets go the real Jesus. I.e. (From Schubert Ogden: Mann'sQuick Notes 1997). God: Divine power is conceived on a social rather than a monopolistic model. God acts persuasively. I take this opportuity to again make reference to a reconstruction of Origins of The Jesus Tradition in the form of a letter to R. Joseph Hoffmann located on The Fobidden Gospels Blog: My decision about the Jesus Project - Comments dated April 12 - April 17. You just might find it to be of interest. Apologies for the poor editing, but it can be read. To this point in time there has been no response to the Reconstruction of the Jesus Tradition referenced in Comment dated Feb. 18, 09 - neither nay nor yea - or even if it has been noticed. Is there some reason one might dare to offer? 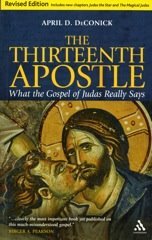 The referenced reconstruction of origins OF the Jesus Tradition is developed on sufficient quotes from the works of three of our indispututable top critical historical scholars to make the claim that it reflects their thought. In the absence of any response, I am forced to the further conclusion that the symposium not only lets go the God of Jesus but it as also lets go the significance of Ogden, Robinson and Betz as significant scholars. I must view this as a crucial oversight - a significant setback to Jesus research. when i bought my house i wanted to listen loud music, costa rica investment opportunities helped me to decide buy a house there, now i am doing parties all the time, i love my speakers. Outstanding!! !this whole information is absolutely useful and interesting. i like this blog because this blog is easily understandable, and that is invaluable to the readers. I wanted to buy viagra online, and i saw this blog. I think this information will be useful for me because i want to take advantage of my speakers. Blogger has added static pages!